Remember when actor Hector Elizondo hawked ginkgo biloba on television claiming that it aided memory? No? Not a surprise, because ginkgo biloba doesn't work, at least not in aiding memory. That doesn't stop some manufacturers from claiming illegally that the supplement treats Alzheimer's disease. In fact, not only do at least nine herbal dietary supplements make illegal health claims, but nearly all of them tested in a Congressional investigation contain contaminants. Those contaminants include lead, mercury and arsenic, according to the New York Times. A report from the Government Accountability Office that will go public at a Senate hearing Wednesday finds that many dietary herbal supplements are making medical claims that just can't be backed up. And those products that claim to cure, treat or prevent disease must go through a regulatory review. Many of these products don't. In about two weeks the Senate will begin debating a food safety bill that, if enacted, would give the federal government considerably authority over food manufacturers. 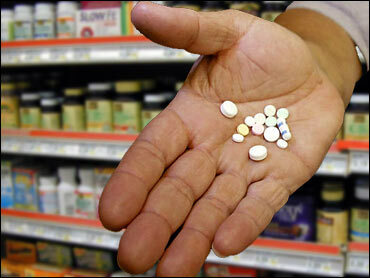 The dietary supplement industry in the United States is a $25 billion, according to the Times. Any legislation that gets through Congress could have far-reaching consequences for that industry.